St Luke's Blog: Cool Coin. 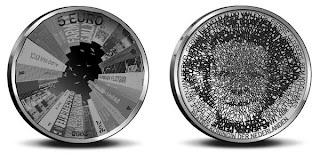 I'm no coin collector but I'm liking this new 5 Euro coin commemorating Dutch architecture. It's got so many ideas going on in such a small place. Click the link for more details. I like our new coins too.